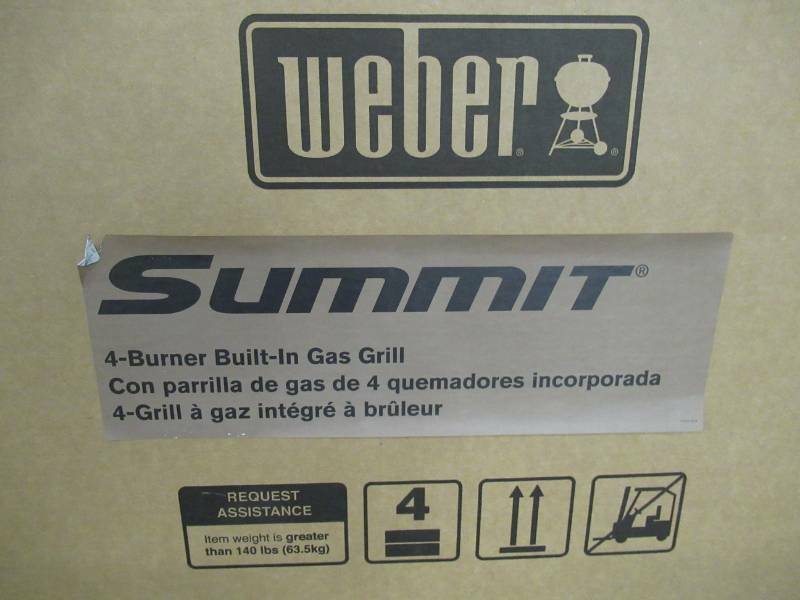 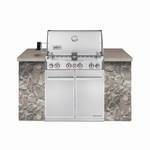 Weber Summit S-460 4-Burner Built-In Natural Gas Grill in Stainless Steel with Grill Cover and Built-In Thermometer, 7260001. 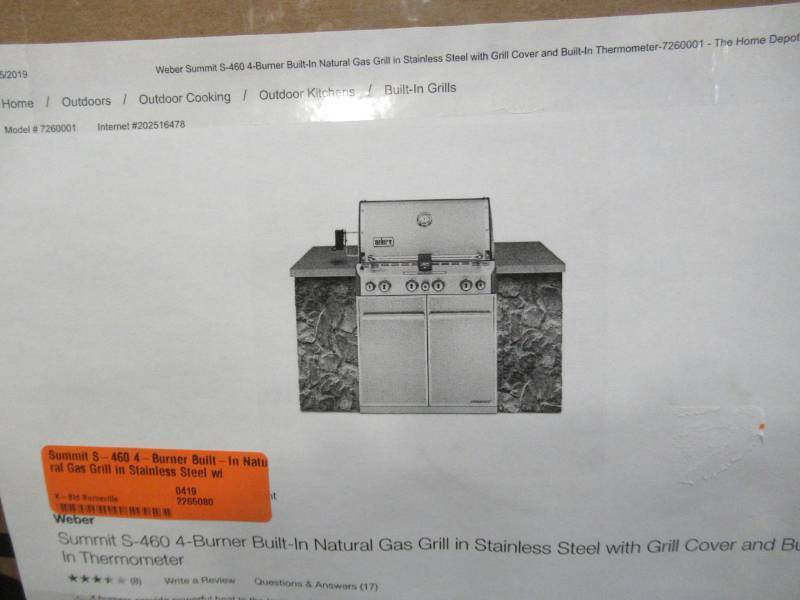 Never assembled, In manufacturers packaging. 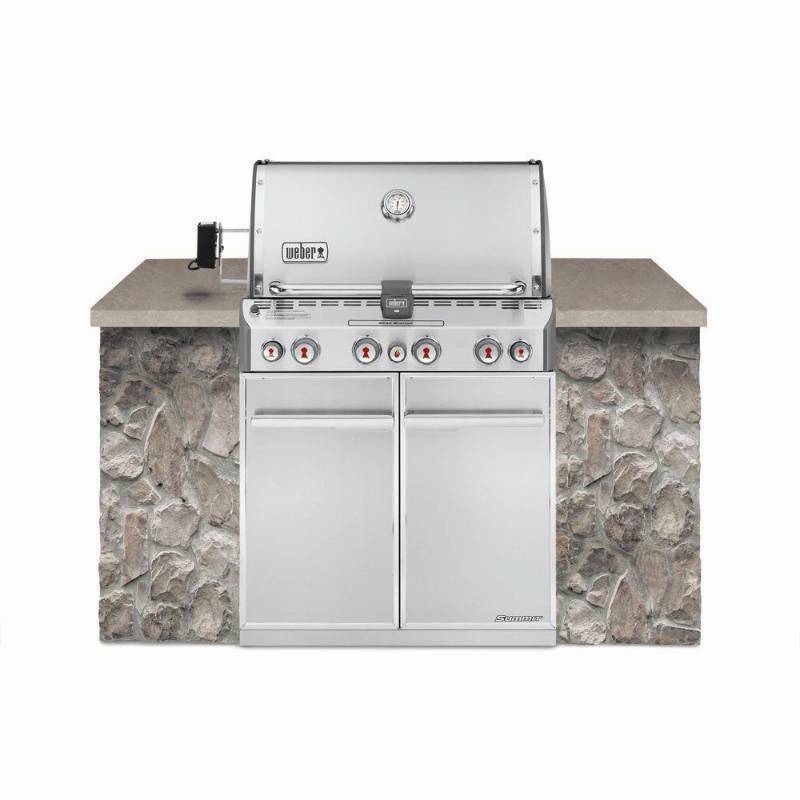 features a rotisserie motor and rear-mounted infrared burner for slow-cooking, a central sear-station burner for intense-heat grilling, an integrated wood-smoker box with independent burner to morph your grill into a smokehouse and 4 stainless steel burners capable of 48,800 BTUs for everyday BBQ grilling. 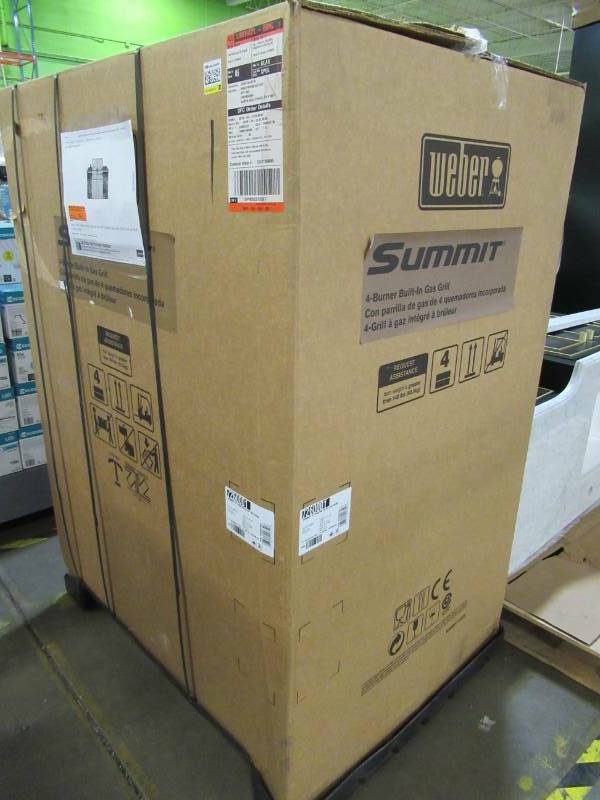 Sells for $2,299.00 Retail.